IPhoto Plus is animmersive application of photographie Take a picture with the camera or an image from the gallery and transport you into another world. Frames, 3d, animated effects with ability to save shots. This is a application dealing with editing of photos which will find extensive use to color correct pictures and add word balloons, titles, added graphics and special effects like distortion. This application comes in two variants which are free and pro versions. This particular application as it name suggests blends or mixes two pictures of different faces and results in a funny picture. In short, face of a picture can be manipulatively joined to body of another picture. This application gives the user the option to bring out five lenses with five sets of settings which was famous during the retro age like film scratch, black and white effects etc. This app has its inspiration from many other types of cameras. With this app, you can turn your phone into professional camera. Provides LOMO, HDR, axis shift, draft, ghost, etc. and multiple styles. This is another photo editing application which lets the user to style photos with vintage and retro effects from the age of 1970s by turning them black and white. These edited photos could later be used in social networking sites like Facebook, Twitter, and Flickr. There have been some latest updates to this app which brings some new effects like Trip to the Optometrist, Kaleidoscope Eyes and Little Plastic Lens. This application allows the user to stretch, pinch and twist faces in different crazy ways and then do the sharing with friends. 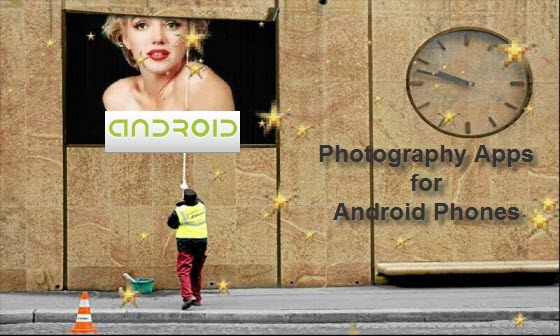 This application brings the flexibility and functionality of using Photoshop in an Android smart phone. With this user can apply Photoshop effects live before capturing the image or picture. There are particularly six different effects which are canvas, mirror, pinch, water color, sketch and sepia. This app could be used to apply frames to images and photos of beloved ones and then share them through Facebook or email. This is an image editing application which can add effects like ageing, Lomo and BlueTone to images. Well by using this app it is possible to enlarge the eyes and smoothen the skin and also has many stickers and frames. 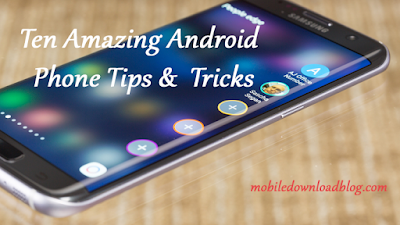 To download any of the photo apps for Android phones, just search for it in Android market on your phone.